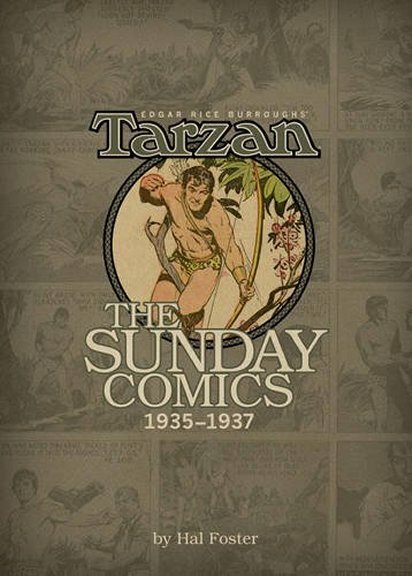 Tarzan was caught between the panther and the stream of crocodiles. 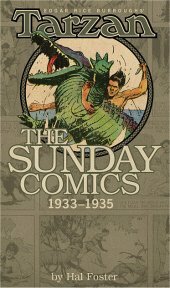 If the beast and the ape-man clashed in battle, both would be precipitated down among the crocodiles that were waiting to devour them. from his perch in the tree on the opposite bank, Erich Von Harben took careful aim at the panther. But the pistol jammed. Rust had made it useless. Frantically, the explorer pulled in the fibre rope, with a wild hope of lassoing the panther. . . while ape-man and beast eyed each other cautiously, each waiting for the other to make the first move. 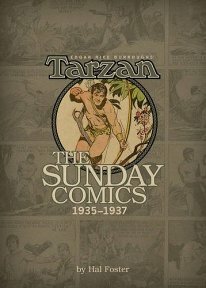 Suddenly from along the trees, a strong branch was swung out toward Tarzan. The ape-man grasped it and was pulled rapidly to shore. A strange almost naked little man confronted him. It was this man who had swung out the branch and pulled Tarzan to safety. 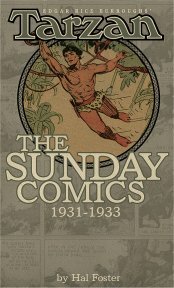 As the ape-man turned to greet his unknown savior. 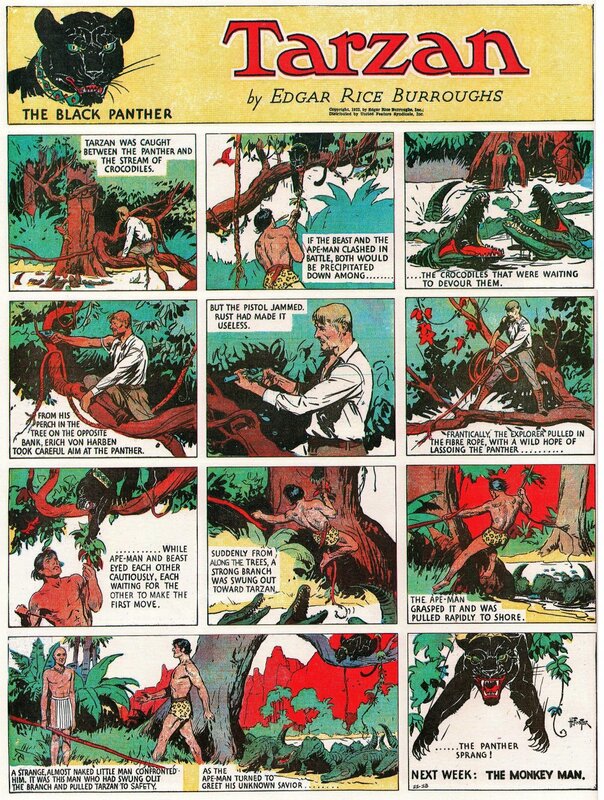 . . the panther sprang!